House Speaker Gloria Macapagal-Aroryo wants a clear definition of “open pit mining” amid issues hounding the mining industry under the Duterte administration. “According to (Environment) Secretary (Roy) Cimatu, what he understands from the President’s understanding of open-pit mining, which he used to see when he was my adviser for peace and order when he used to fly all over Mindanao, (is) that, there are holes all over the place,” Arroyo said. “What Roy Cimatu said was, without putting the term ‘open-pit mining,’ it becomes controversial and people have different understanding of it. So, he said, the ‘maximum disturbed area,’ and he defines it,” she added. Cimatu issued the said order, titled, “Guidelines for Additional Environmental Measures for Operating Surface Metallic Mines,” last month, in line with with President Rodrigo Duterte’s directive to regulate mining operations in the country. Duterte has been critical of the mining activities in the country, expressing pity on the condition of the natural resources. 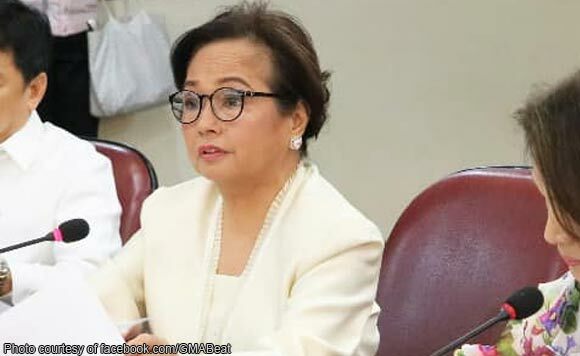 “I have a proposed provision that says, ‘open-pit mining, as defined here in this Act, is prohibited and any mining tenement that will not comply with the DAO shall take steps to comply with the DAO within a period allowed by the DENR’,” Arroyo said at the hearing. “And within that period, they must pay an excite tax of such an amount which is the one you were saying was prohibitive or that will kill the industry,” she continued. The House leader said, however, that Congress can wait for a proposal by the Department of Finance regarding the matter. The mining industry has been put again on the spotlight following the massive landslide in Itogon, Benguet at the height of typhoon Ompong in the country, resulting in deaths and entrapment of many.